Just as temples were part of Christ’s ancient church, they are a part of his church today. In ancient times only a few temples are recorded as ever having existed, but today there are temples all over the earth. 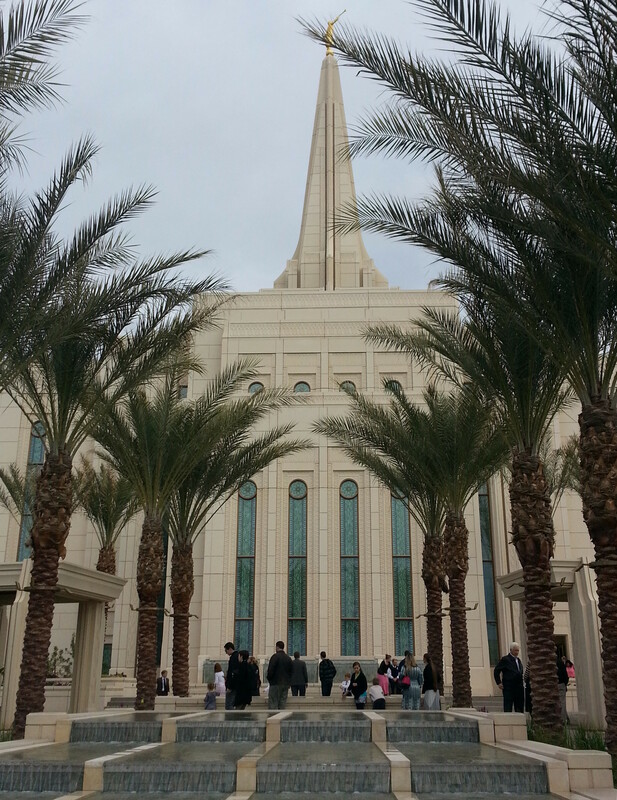 Recently more than 400,000 attended a temple open house in Gilbert Arizona during a 25 day open house preceding the temples dedication to occur tomorrow, March 2nd. The Gilbert Arizona Temple will be the 142nd operating throughout the world, and fourth in Arizona; after over two years of construction. It is also the largest temple built in the last 17 years at 85,000 square feet. So why does the LDS church go to such great lengths to build such a place? Mormons consider temples to be the most sacred of all places on this earth. It’s a place where families can be joined together for eternity, and the ordinances of salvation are performed; not only for the living but also by proxy for their ancestors. One of the most notable of these ordinances is often referred to as Baptism for the dead. Just as Jesus was baptized, so must we all to be saved from the damnation of sin. Since “God is no respecter of persons”,Acts 10:34 he has provided a way for all to participate in this saving ordinance. 2 Samuel, chapter 7 – David offers to build a house for the Lord. 1 Chronicles, chapter 22 – David calls on his son Solomon to build a temple. 1 Kings, chapter 7 – King Solomon finishes the temple and decorates it with treasures. 1 Kings, chapter 9 – The Lord accepts the Temple. Ezra, chapter 3 – After returning to Jerusalem from captivity, temple construction is started. Habakkuk, Chapter 2 – The Lord is in his holy temple. Zechariah, Chapter 1 – Zechariah declares the temple will be rebuilt. Luke, chapter 2 – Jesus teaches in the temple when 12 years old. Matthew Chapter 21 – Jesus cleanses the temple.